Te Pari Standard 600 mm and Heavy Duty 1000 mm load bars are interchangeable between all models of Te Pari scale indicators. No special calibration is required when they are connected to Te Pari indicators as the load bar settings are preprogramed into each indicator. The correct load bar settings are loaded for you when you select your load bar model from the listed options in the scales system setup screen. Te Pari livestock weighing systems are not certified for trade use. Standard 600mm load bars are designed to be fitted under a cattle platform, Racewell Handling unit or a sheep crate. Heavy duty cables that are sealed into the bars to eliminate moisture points are standard. 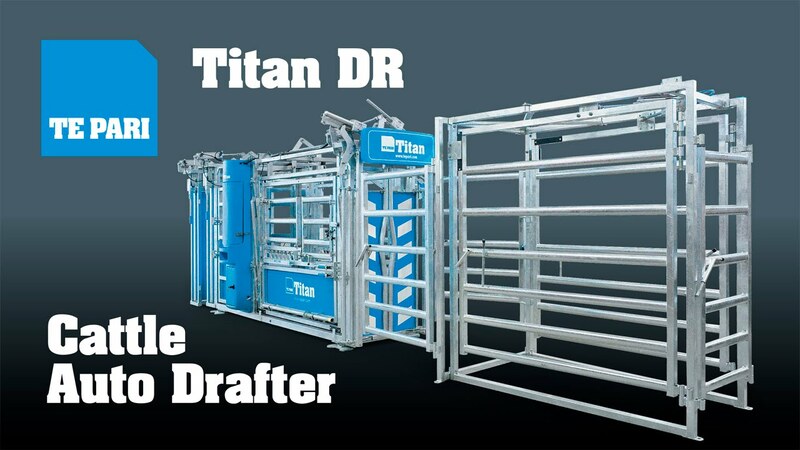 Heavy Duty 1000 mm loadbars can be fitted to any model of cattle crush or chute. Heavy Duty 1,000 mm Loadbars are designed for use with even the largest and most energetic livestock and have a stainless steel “ball and socket” system designed for cattle crush use. *Adaptors might be required depending on the make and model.